Bumblebee came out a few weeks ago and I got a chance to see the Transformers prequel/reboot today. Travis Knight directs and the film stars are Hailee Steinfeld, John Cena, Jorge Lendeborg Jr and more. I’m one of the many people who think the last five movies in the franchise are some of the worst of all time. However, the trailers look good and Michael Bay wasn’t directing so I walked into Bumblebee pretty optimistic. I had a blast from start to finish and it’s so refreshing to finally see a good Transformers movie. What really makes this movie work is the relationship between Charlie and Bumblebee. It felt similar to the relationship in ET and most of the movie does give me several ET vibes. The way the characters were written was brilliant and there were several emotional beats that worked extremely well and didn’t feel forced. And Hailee Steinfeld did a great job in her role. When you consider that most of her dramatic scenes are with a robot that isn’t actually there, the fact that she pretty much nails every one of these scenes is extremely impressive. I’m making a prediction now that she wins or at least gets nominated for an Oscar within the next five years. She also had great chemistry with Jorge Lendeborg Jr. The relationship with the characters felt natural and had some good comedic elements. I was also a huge fan of what they did with the family. One of my biggest pet peeves is when the step parent is always a terrible person. I’m glad that in this movie they actually made him quite likeable towards the end. The only performance that fell flat was John Cena. I love the guy in comedy roles like Blockers. Unfortunately, he doesn’t deliver his dramatic or more serious lines in the movie well at all. When he has to crack a joke, it works but I think another actor in the role would have made the arc more impactful. But, the balance between humour and heart in the rest of the movie was phenomenal. None of the humour ruined the emotional impact of the scenes. One of the funniest moments to me involved a car and Bumblebee. Most of the humour feels natural and not forced like the Bay movies. One of aspects that felt dragged out in other Transformer films were the action sequences. They felt unnecessarily long to me and had no real emotion. In Bumblebee, the action never feels like it could’ve been shorter and I actually felt something in the final battle sequences. The Cybertron opening is a great action sequence and was a wonderful way to open the movie. Most movies these days tack on a cheap set up for a sequel like Pacific Rim 2 or Sicario 2. The movie does leave the door open for a sequel but still feels like a complete story and that doesn’t happen a lot these days. I’ve seen a few complain about the movie being cheesy. Personally, I don’t think that was a problem because it felt natural for the 1980s time period. Another aspect of the film that helped create the 80s atmosphere was the soundtrack. I loved most, if not all of the songs and even the score was extremely powerful and elevated all of the emotional moments. 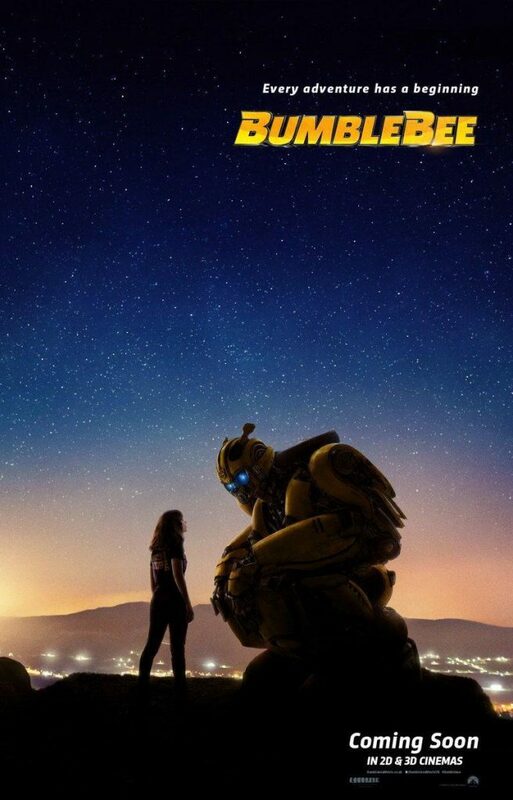 Overall, Bumblebee is a win for Paramount due to the great blend of heart and humour as well as the mostly fantastic performances. Travis Knight did a great job with the movie. I hope he returns and potential sequels are as good as this was.